1000W be quiet! 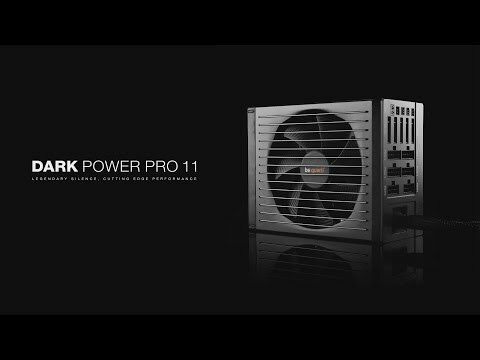 Dark Power Pro 11, Hybrid Modular, 80 PLUS Platinum, SLI/CrossFire, Quad Rail, 83A, 135mm Fan, ATX PSU is rated 5.0 out of 5 by 1. Rated 5 out of 5 by GhostMotley2 from Good PSU Good PSU, purchased at £199. Well built unit that has a good selection of cables, cable length is good and build quality is great. Powers my 1920X and Titan Xp system without issue, very quiet operation. I'm not sure what else to say really, you can check-out JonnyGuru if you want in depth specs on who makes the PSU, ripple and PCB/Safety feature overview. Great unit, would purchase be quiet PSUs again in future. Just wish they would make fully modular units, and maybe Titanium efficiency.